Having prepared for all 25 tourney scenarios, I read a lot more of the rulebook and the scope of scenarios I can play expanded. I met some great folks around the region as well. I have a few more regular “Live” games now on VASL apart from my usual stable of PBeM (“Play By eMail”). I play a little faster. I know I should be more aggressive with my movements. Moving and encircling is way more effective (and time efficient “turn wise”) than sitting and shooting. I know what establishing a tempo as an attacker feels like. I don’t care about the die rolls anymore. “Reversion to Mean” dictates that it will all even out at the end. Good decisions win the game not die rolls. It’s important to plan out where you should be on the map and also when you should be where on the map especially as the attacker so you don’t run out of time. There was an earlier poll on GameSquad asking whether folks are more comfortable attacking or defending in a scenario. I can’t find it now but someone said “Is there a defence?”. This thought rang in my head during my last round as the IJA (Imperial Japanese Army) defender in J116 Brigade Hill. The IJA were infiltrating and cutting the attacker’s rout paths. My understanding of Book VI (“Defence”) in Clausewitz’s “On War” echoes the thought : defence is just a different form of offensive action – counterattack! Now I am getting ready to support the Hong Kong Society of Wargamers‘ Advanced Squad Leader Tournament this year!! 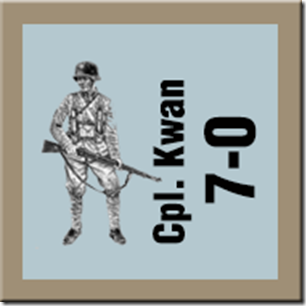 This entry was posted in Development, Events and tagged Advanced Squad Leader, Advanced Squad Leader Rulebook, ASL, Board Game, board wargame, Hong Kong, PBEM, Singapore, tactics, tourney, VASL, wargame. Bookmark the permalink. Good points that I can only agree with. It’s unlikely you will ever go to a tournament and not learn something. I corrected a more skilled player than me on a rule whilst learning another from a less experienced player. That’s an important thing to remember. I looked around at the tourney and realized again that they are so many ways to “solve” a scenario. Playing different people allows you to see these variations and it opens your thinking up! 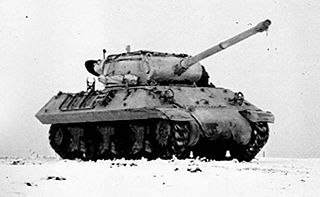 Yes sir – the M36 Jackson! I also think you absorb these things automatically the more you play. I have recently played 2 entirely new players and attempted to lose to both. I succeeded with the first (but not until i have ran about stacks suicidally) but failed with the second and not even deliberately. I would just move squads forward to pinch out rout paths and then think – urk I just killed half his OOB and I hadn’t even realized I was doing it…. Hahah .. you might have actually ended up playing “better” as you were relatively unrestrained? Trying to lose is a challenge I have readily mastered. Noooo problems there! !